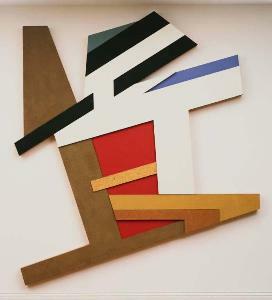 Frank Stella, Pilica II, 1973. Mixed media assemblage on wood, 110 3/4 x 94 3/4 in. The Phillips Collection, Washington, D.C. Acquired 1974. 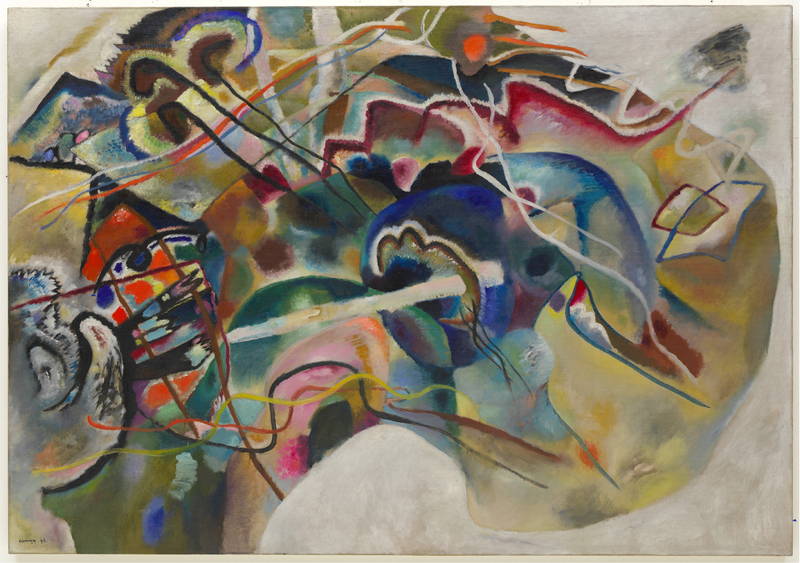 Wassily Kandinsky, "Painting with White Border (Moscow)," 1913, 55 1/4 x 78 7/8 in. Solomon R. Guggenheim Museum, New York, Solomon R. Guggenheim Founding Collection, By gift 37.245. © 2011 Artists Rights Society (ARS), New York / ADAGP, Paris. Because Kandinsky’s Painting with White Border deserves more than one visit to appreciate it, this past week I returned not once, but twice to hear Spotlight Tours on the painting by Brooke Rosenblatt and Karen Schneider. While both talks were captivating in themselves, what interested me most were the reactions from museum visitors, which I feel embodied Kandinsky’s intention perfectly.